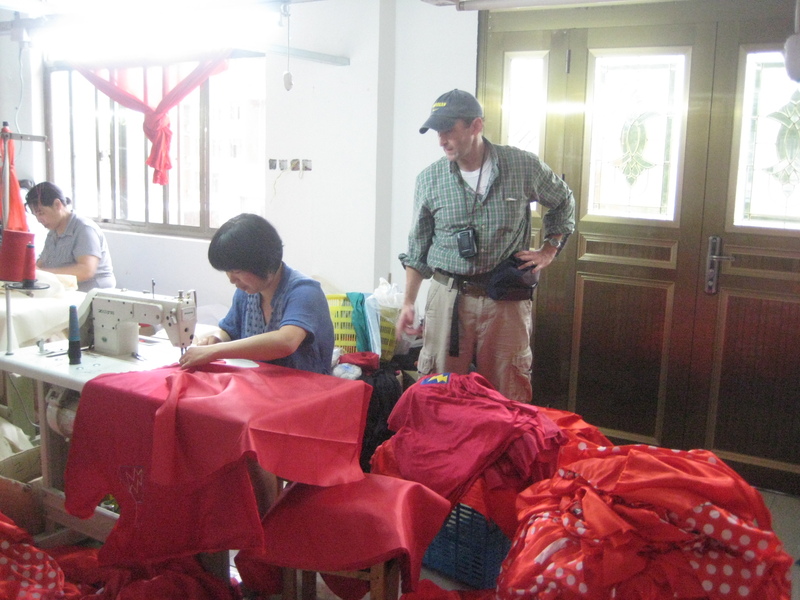 I just got back from an apparel inspection in Zhejiang. This was actually a project on behalf of the lady mentioned in my previous blog post. 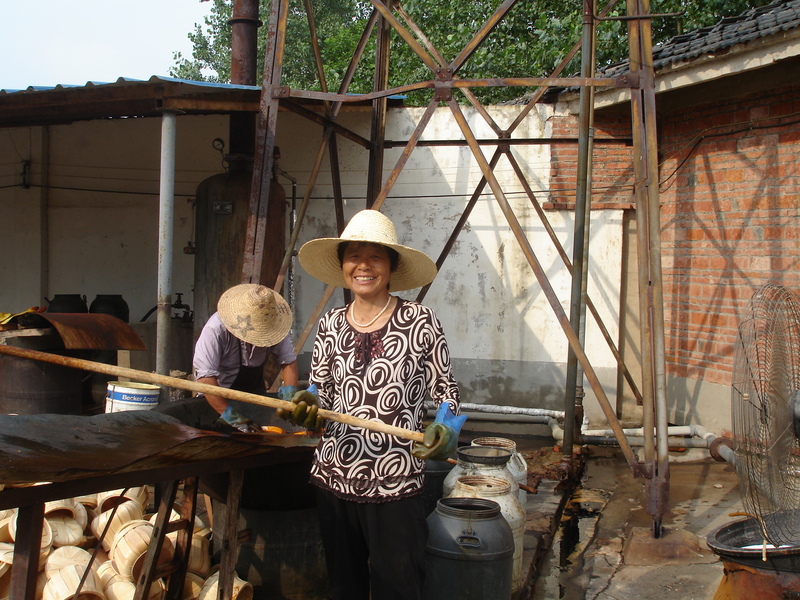 She did end up hiring me and sent me to her FTY in Pan’an which is about 90 minutes by car from Yiwu. Yet what she hired me for was not the problem I outlined in my blog post – the failure of a FTY to do a correct sample for her even after she had gone there to provide them with instructions. She sent me to Pan’an because she has a 21,000 pc order that is due to ship very soon and she was beginning to feel extremely nervous about what the vendor will be putting into the container. It is a good thing that she sent me because when I showed up in Pan’an just three or four hundred pcs/21,000 had been completed. The vendor seemed to be focusing on another large order for an Italian customer and my customer’s order – what little of it there was in evidence – just seemed to be sitting there on the workshop floor. Because I was there to do an inspection I pulled out the QC checklist I had prepared and did a random inspection on 80 pcs. I found some significant problems e.g. a mistake on the care label and on the master carton label as well, sewing in places that was off the mark, a good QTY of product that had not been off-pressed etc etc. Most importantly, I overheard a discussion between the vendor and someone in his office about a shipping date that was 2 weeks later than what he had told my customer. This was a critical piece of info because my customer’s is a seasonal item. If it is not in the stores by a certain date, she will lose signifiicant sales. I communicated all the problems to both the vendor and my customer and they are now in the process of working out solutions, the most important of which is the shipping date. My customer will be going to China herself to make sure the vendor ships on time. In short, this was a valuable lesson in the importance of doing an in-process inspection ( though I am afraid this inspection came a little late in the game ). By investing a little time and money to monitor your vendor as they make your order, you will seriously reduce the risk of a complete fiasco in which you will lose both money and customers. In fact, while I was in China this time I met with an old colleague of mine who told me an interesting story about a former boss of ours. 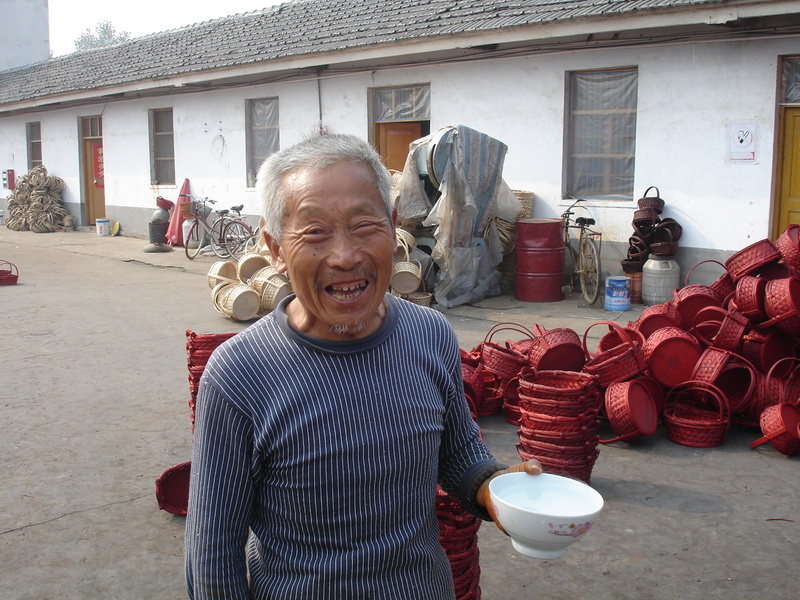 He has a new company and bought three containers of ceramics for a major US chain. He did not inspect them and when they arrived in the US they were not sellable. This person has been doing business in China for 25 years and why he would not inspect an order like that I have no idea. The new factory is making me crazy! They simply are not following instructions. Their pricing is low, which is what attracted us and I made a visit there to meet the owner and my liaison as well as to tour the facility and I was quite pleased. We proceeded with sample preparation. I have been back a second time to work through the construction issues with them. I literally sat down in the sample room and showed the sample makers two times how to construct our unique waist band seams. They then made me a good sample before I left, however, they have not gotten it right once since I left! I requested additional samples just to be sure that they were on top of it, but not one right since. 1.) The FTY is not happy with her order QTYs and is not prioritizing her orders. They have other orders which they regard as more important. 3.) There is a costing issue somewhere with the waist band. 5.) The FTY is under financial strain as are many small FTYs in China nowadays and it is just not able to focus on production. 6.) This is simply a bad FTY or a FTY that does not have the expertise to do this particular order. It is hard to know what is going on without having seen the FTY myself but I suspect it is a costing issue. If a factory fails to do something in spite of your repeated directives it is usually because there is an added cost somewhere. Some factories in China work on razor-thin margins so that the slightest increase in cost- resulting from a revised design or production step – can make the difference between profit and loss. I remember working with a FTY once that was reluctant to discard a few rusted nails that I had found in a product and asked them to remove. For me it was just a nail. But for the FTY disposing of those nails represented a loss. So what did they do ? They set them aside and tried to reuse them when I wasn’t looking which I found more interesting than aggravating. This is how many factories think. For this reason you should never assume that a minor change for you is a minor change for your FTY as well. In many cases it is not. Returning to the example above, the fact that the FTY above has not been able to do samples to the customer’s specs – after she herself went there to provide guidance – and has not been able to communicate to her why they are having so much trouble is a warning sign that she should not ignore. This is a FTY she probably does not want to work with. One of the largest toy makers in the UK, Hornby, a company which specializes in model trains, has been having problems with their factory in China. These problems go back to 2006 when the factory had some financial issues that were impacting production. The problems continue today as the factory faces myriad challenges including the rising costs of plastic and other raw materials and an acute labor shortage. What this represents for Hornby is five years of lost sales – both from reorders of existing product and from the inability to get new prototypes to market. It is very important to consider your vendor’s financial circumstances when you do business with them. If a factory is having financial problems you can be certain that your orders will be impacted. The factory may not be able to make timely payments for the raw materials necessary to make your product, or they may buy substandard raw materials. Factory management will be pre-occupied and will not involve themselves in production of your order. Small details will be forgotten on the production end meaning that big problems will surface when product is delivered to your DC or to your customers. Facing financial problems factories will resort to severe cost cutting. All of this will have an impact on your order, from late deliveries to serious product quality issues. 1.) Is the factory busy? If not that may be an indication that they are having financial problems. Moreover, if they are not busy, chances are very good that they have laid off workers. You have to ask yourself then if the FTY is going to be able to hire back the workers to do your order. With the labor shortage in South China nowadays it is no given that workers will return. 2.) Do the factory’s facilities seem to be in good order? Many small factories in China are in a constant state of disarray. But if there seems to be a lot of broken machinery (you can find out just by asking the vendor to turn machines on for you) then this is a clue the vendor does not have the money to repair the machines or the orders to warrant the repairs. A red flag. 3.) Are the workers young or old? If they are older, the FTY probably does not have the money to pay younger workers. 4.) Are workers paid on time? Are they paid overtime? This is where it is very helpful to know some Mandarin. Factory management will not tell you this, of course, but workers will. 5.) Does a factory ask you to pay for samples? This may be a sign of extreme cost sensitivity, which is not good for you. In short, you really have to be very careful about entering into a relationship with a factory that is having financial problems. Otherwise, their problems become yours.